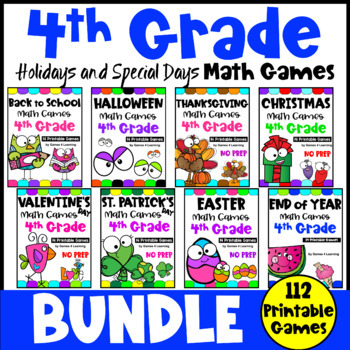 Fourth Grade Math Games Holidays Bundle by Games 4 Learning brings you 8 sets of Holidays and Specials Days math games for fourth grade. 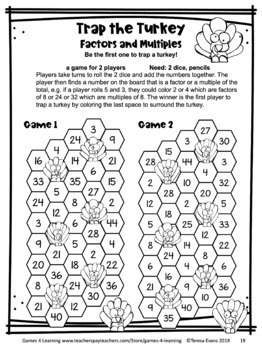 This collection of Fourth Grade math games contains 112 printable math games. Each of the sets includes colored math board games and also NO PREP print and play games. Each set is available separately or you can save over 30% by getting this collection here. There sets can be used to create holiday themed math centers for Back to School, Halloween, Thanksgiving, Christmas, Valentine's Day, St. Patrick's Day, Easter and End of Year. These are also ideal as a reward for fast finishers or for homework. 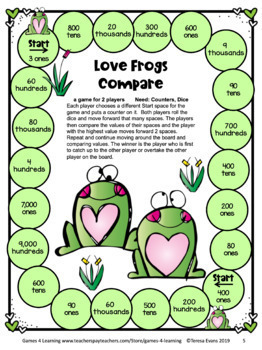 Each set includes 14 printable games including both math board games and black and white, print and play games sheets. The games review different math skills for fourth grade.